This image shows the ratio of the argon isotope argon-36 to the heavier argon isotope argon-38, in various measurements. 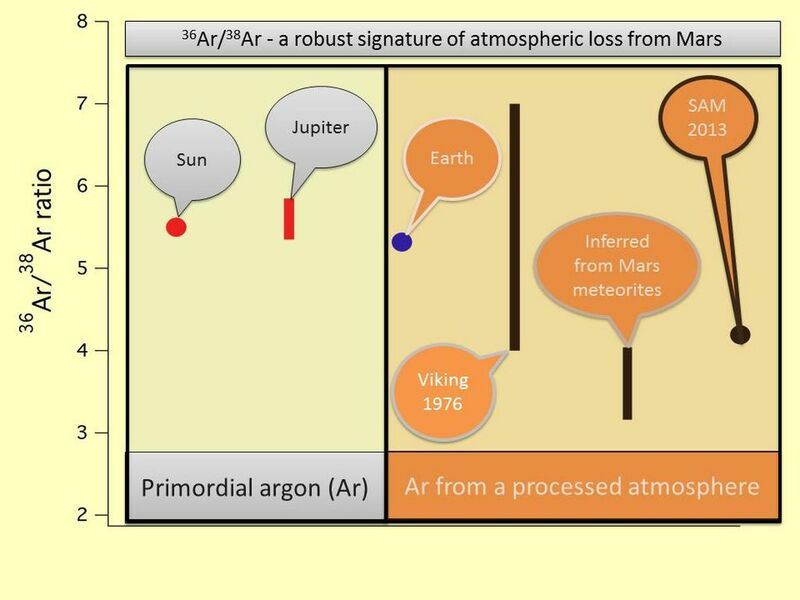 The point farthest to the right designates a new (2013) measurement of the ratio in the atmosphere of Mars, made by the quadrupole mass spectrometer in the Sample Analysis at Mars (SAM) suite of instruments in NASA's Curiosity Mars rover. For comparison, the previous measurement at Mars by the Mars Viking project in 1976 is shown also. 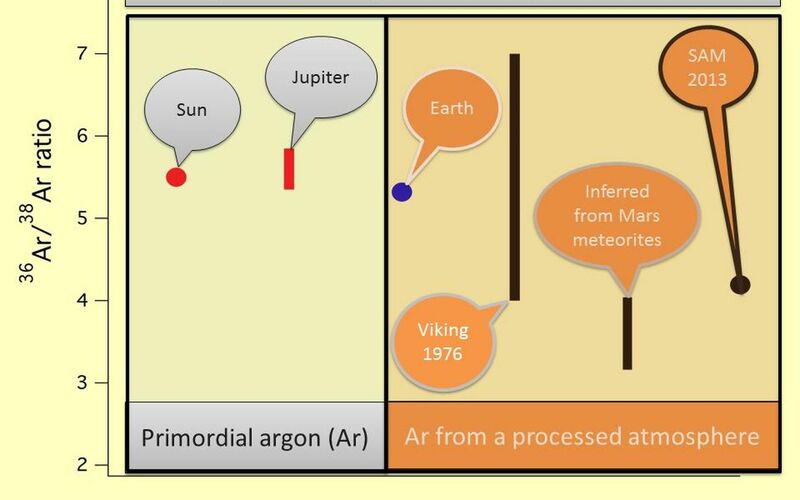 The SAM result is at the lower end of the range of uncertainty of the Viking data, but compares well with ratios of argon istotopes from some Mars meteorites. The value determined by SAM is significantly lower than the value in the sun, Jupiter and Earth, which implies loss of the lighter isotope compared to the heavier isotope over geologic time. 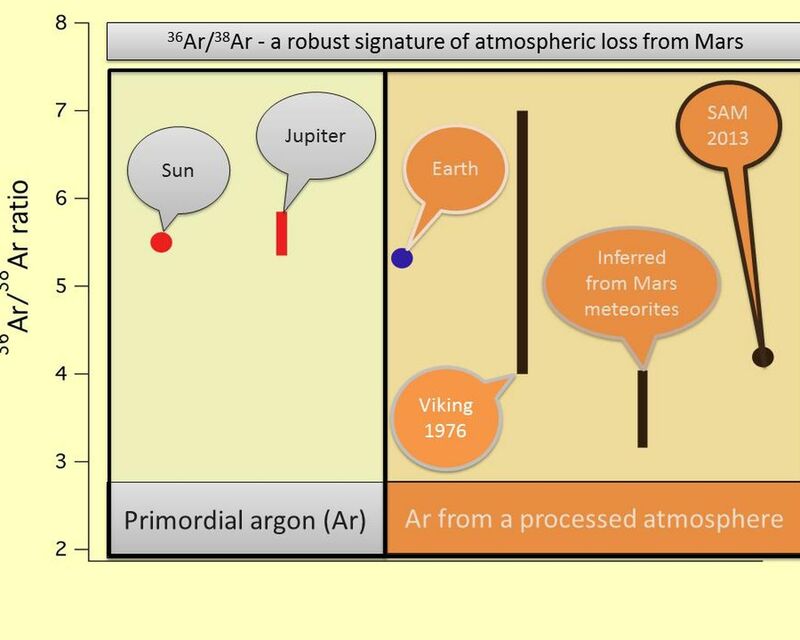 The argon isotope fractionation provides clear evidence of the loss of atmosphere from Mars.